It always feels good to find a Canadian film that takes some of the most recognizable tropes of homegrown cinema, including a dark sense of humour and scenic shots of our country’s many beautiful landscapes, and uses them in service of telling a story that still feels unique and genuinely touching. This is Borealis, a road trip dramedy that works exceptionally well at juggling different tones to offer a deeply poignant exploration of the bond between an estranged father and daughter. The film follows Jonah Finn (Jonas Chernick), a hopeless gambling addict who owes thousands of dollars to an underground ring. When Jonah finds out that his rebellious, pot-smoking daughter Aurora (Joey King) is going blind from a rare eye disorder, and will lose her eyesight completely within the month, he doesn’t have the heart to break the news to her, and they instead set out on an impromptu road trip to Churchill, Manitoba so that she can see the Northern Lights. But there’s also an ulterior motive for their trip, putting them on the run from vengeful accountant Tubby Finkleman (Kevin Pollak), who is hot on their trail. 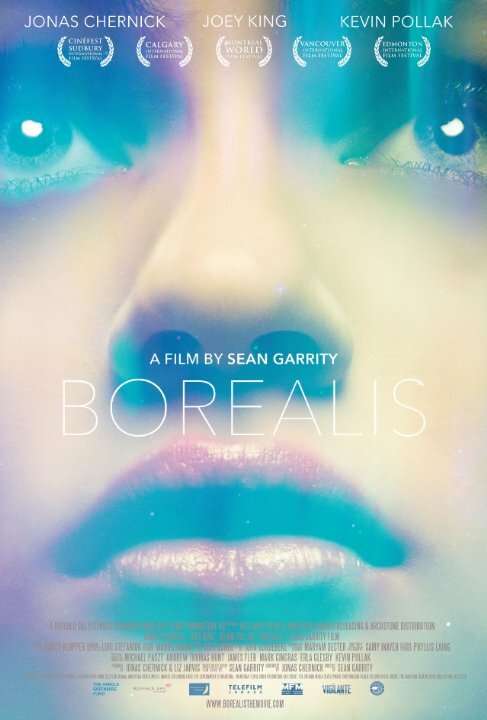 Directed by Sean Garrity, and co-written by Jonas Chernick, who last collaborated on the very different comedy My Awkward Sexual Adventure, Borealis impressively pulls off a carefully balanced tone that switches seamlessly between pitch black humour and genuine pathos. The films works as a character piece first and foremost, anchored by a pair of excellent performances from Jonas Chernick and Joey King, who bring a lot of depth to their roles and share some great interplay together. Jonah is an interesting character in that the choices he makes aren’t always likeable, yet he still garners our sympathy, an everyman who gets in over his head but is still trying to make it right. Aurora’s angst is completely relatable, giving us a clear sense of her inner emotional turmoil as she comes to terms with losing her eyesight. The result is a thoroughly engaging and uniquely Canadian trip, that is by turns entertaining and emotionally affecting, right through to the haunting final shot. Borealis is now playing in limited release at the Carlton Cinema in Toronto.